At this point it’s indisputable that we all need to eat our vegetables. So here are 14 ways toincrease the amount of veggies in your diet. – https://www.ams.usda.gov/local-food-directories/farmersmarkets ­ for a list of more than 4,300 farmer’s markets currently operating in the United States. – www.eatwellguide.org ­ to find food that is healthful, humane, better for the environment, and that supports family farmers in your neighborhood and when you travel. – https://www.ams.usda.gov/local-food-directories/csas ­ for information about and listings of Community Supported Agriculture programs. – Assess and build the soil: Testing the soil to understand what it needs is an important step. Many garden centers have test kits you can purchase for this purpose. Use the results to guide you as you make the appropriate adjustments. The soil in many urban areas may contain contaminants. If this is the case, it might make sense to build raised beds and bring in organic soil. – Identify sources for seeds or plants. This is becoming much less difficult as many seed companies are offering so many options. Purchasing starter plants is still a bit more difficult. Try asking at local farmers markets and garden centers, or research local garden clubs, many of which have spring plant sales. – Smith & Hawken (www.smithandhawken.com): High-quality but expensive gardening products. – Garden’s Alive: (www.gardensalive.com): Environmentally responsible pest control. – Organic Gardening (www.organicgardening.com ): Info and tips about soil, landscaping and growing your own vegetables. 2. Chop It Up and Have It Ready: Cut up vegetables such as onions, broccoli, peppers and asparagus in advance. Put them in pre-portioned baggies or containers and store them in the fridge. You can put veggies in any dish you make: scrambled eggs, sautéed chicken or beef, and on any sandwich. If you don’t like raw vegetables that’s fine. Cook them in a bit of oil until you find the taste you like. That’s key – making sure that you use vegetables you enjoy. 3. Not Too Many Starchy Veggies: Watch your intake of starchy vegetables, they’re carbs­they can be high in calories and not have same impact. Examples include: corn, peas, potatoes, , and sweet potatoes. – Check out the menu online before you go so you know what types of veggies the restaurant has on hand. Pick a few that you like; you can even call and ask how they’re prepared. Try to get the kitchen to make them just how you like them. – Top all your dishes with finely chopped (cooked or raw veggies). For instance, if you order a grilled chicken sandwich, you can asked for chopped (raw or cooked) broccoli on top. – Include veggies in your dishes whenever possible. For instance, when you’re ordering an omelet. – Ask if they have a vegetable soup. – Ask for steamed vegetables as a side dish. – If you’re dish comes with two “sides,” ask for two servings of veggies­either two of the same or two different ones. 5. Partially Prepared: Buy bags of pre-washed lettuce (try for organic), broccoli and cauliflower florets, or pre-cut mixed vegetables. Check out the salad bar to stock up on other pre-cut veggies. Yes, this can be more expensive, but it still costs less (and is a lot healthier) than ordering from a fast-food restaurant. You can also try veggies that don’t require too much preparation, such as baby carrots, celery and cherry tomatoes. 6. Put Them in Front: Most people put their vegetables out of sight in the vegetable crisper drawer of the fridge (which provides increased air circulation and minimizes drying) to keep them fresher longer. But the problem is that you can forget you have them, which defeats the entire purpose. Keep them where you can see them so that you can grab them on the go for a snack and remember to use them when you’re preparing a meal. 7. Buy Garlic and Fresh Herbs and Spices: Learn how to cook your vegetables with flavor. Seek out fresh herbs such as basil, dill and parsley, and spices such as oregano, salt, pepper, curry powder, cumin and especially fresh garlic. Not only does garlic make almost anyvegetable taste amazing, it’s an excellent source of manganese, a very good source of vitamin B6 and vitamin C and a good source of selenium. Chopping garlic releases the enzyme that activates its phytochemicals. Cooking it too much, however, destroys that enzyme, so chop garlic and let it rest for about 10 minutes while you prepare other ingredients, then add it toward the end of the cooking process. 8. Learn to Cook Great Veggies: There are several databases that offer healthful vegetarian (and vegetable) recipes, and they’re free online. – Allrecipes.com (www.allrecipes.com): Go to the search box and put in” healthy” and “vegetarian” or “vegetables.” Or you can click on the Healthy Living tab on the left. The site also has an Ingredient Search, so you can pick your favorite veggies and get recipes to match. All recipes are submitted by users and include ratings and nutritional information. – Myrecipes.com (www.myrecipes.com): Provides recipes from magazines and cookbooks you love and trust, including Cooking Light, Southern Living, Sunset, Coastal Living, Real Simple and Health. – Food Network ( www.foodnetwork.com): Click on the Healthy Eating tab on the top navigation bar. – EatingWell (www.eatingwell.com): A Vermont-based Web site and magazine. – Epicurious.com (www.epicurious.com): Go to the Recipes & Menus tab and select Healthy. – Centers for Disease Control and Prevention You may be surprised to find that this government agency has a pretty neat recipe finder. You pick the vegetables and/or fruits and the meal type ­ and presto ­ it shows you recipes. – Vegetarian Times (www.vegetariantimes.com). Also, you can get the Vegetarian Timesstarter kit at www.vegetariantimes.com/2007/pdf/vegetarian_starter_kit.pdf. – Veggie Life (www.veggielife.com): Find veggie-friendly restaurants and recipes. 9. Learn the Vegetable Seasons: Generally speaking, you’ll get more veggies for your dollar when them buying in season: https://snaped.fns.usda.gov/nutrition-through-seasons/seasonal-produce . 10. Frozen vegetables: They’re still good and easy to quickly prepare. It’s not fresh or nothing. Frozen vegetables retain most of their nutrients, so they are a fast alternative for people who have trouble keeping their fridge stocked with fresh. 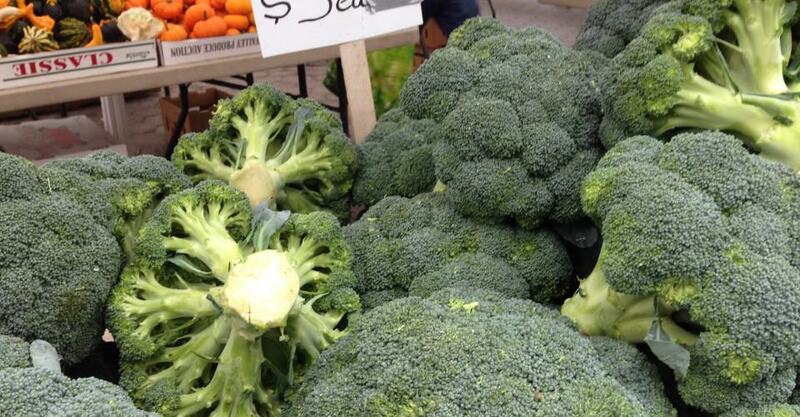 Look for frozen spinach, bell peppers, asparagus, peas, broccoli, mixed vegetables and green beans. – Eat Chinese or Indian, but make sure to order your veggies steamed, and get brown rice. – Make a big pot of delicious veggie soup. It’s easy. 12. Have a Green Smoothie: There are some great green smoothie recipes as well as store-bought veggie smoothies. Make sure when purchasing to check the labels and make sure they are clean –meaning just veggies and/or fruit – nothing else. 13. Discover the Tricks of the Trade: Learn about the dirty dozen so that you know when you really should be buying organic. See: www .foodnews.org/fulldataset.php.